Sparco Steering Wheel - Tuner - Piuma L777 UNIVERSAL - Lesher Motorsports, Inc. 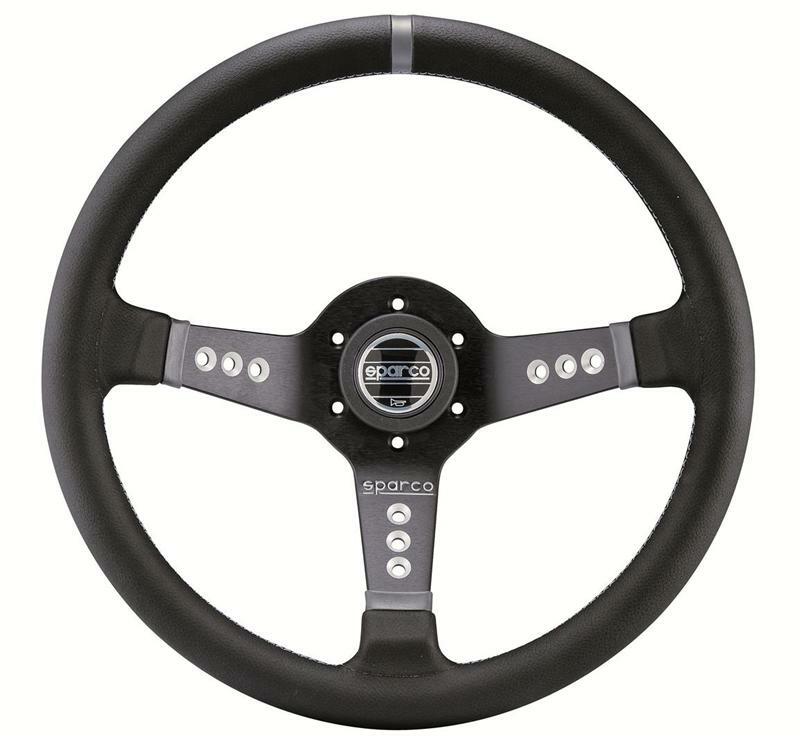 The Sparco Piuma L777 is a black leather steering wheel with ‘Veloce’ embroidery on the rim. 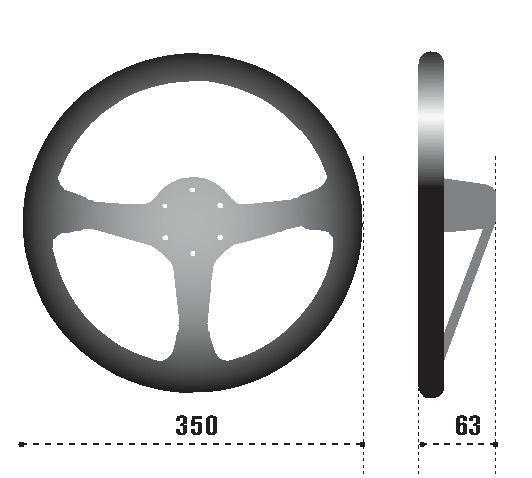 350mm diameter, flat dish, 3 black spokes with black center ring and Sparco engraving and horn button. Grey centering mark on the top of the wheel.